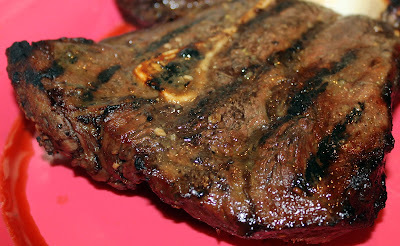 I am in love with local grass-fed beef! Thankfully we have several grass-fed beef farmers local to me, and this beauty came from my friends at Hill Creek Farms - Hartsville. 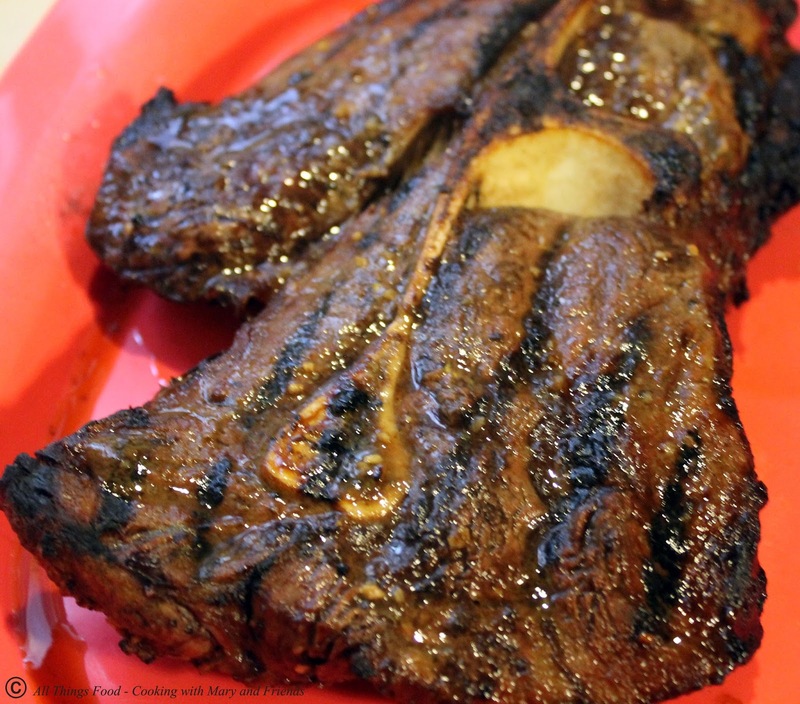 All of their Angus and Angus-Charolais Beef comes from pasture-raised and grass-fed animals. There are no added hormones and the meat is antibiotic free. The meat is processed at an USDA inspected packing plant where it is dry aged, cut to order, vacuum packed and flash frozen. 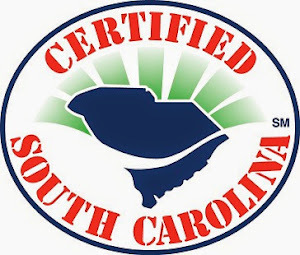 My friends and I have ordered several sides of beef from this farm, and every time the beef has been excellent and, I believe, of superior quality to what you can buy in a grocery store. While buying a side of beef is a large investment, it can easily last you a year, making it extremely economical. See the benefits to buying a whole side of beef. 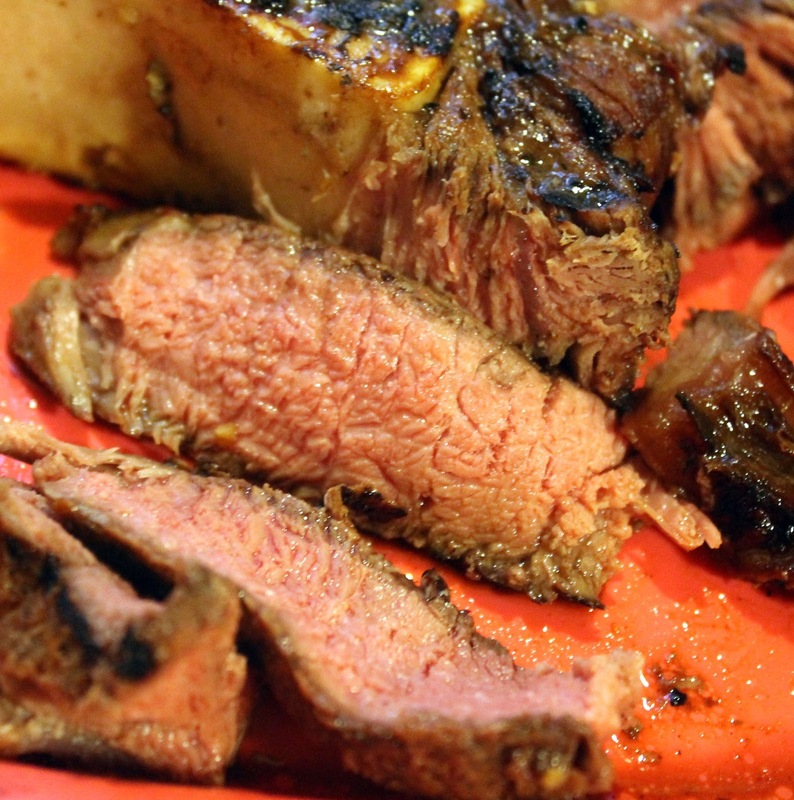 Of course, when you buy a side of beef, you get many different cuts, from sirloins and rib-eyes to chuck roast. Not always wanting the chuck roast to be cooked as a pot roast, I started investigating ways to grill it. 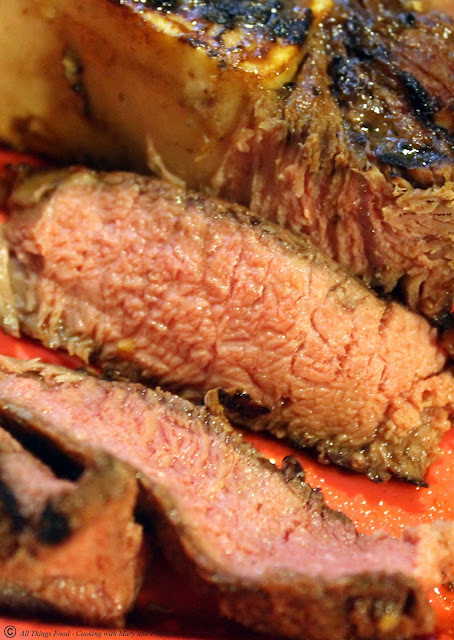 Who knew a grilled chuck roast could be so tender and delicious? We sure didn't until we made this recipe. Wow, talk about a "game changer!" This economical cut completely amazed us, exceeding any expectations we had. Combine all marinade ingredients in a large gallon zip-top bag mixing well. Add beef chuck roast, and seal bag removing as much air as possible. Marinate 8-12 hours (or overnight), turning roast a couple of times. Over direct high heat, sear roast 3 minutes on each side. Reduce heat to medium-indirect heat and continue to grill roast 60 minutes, basting with reserved marinade during last 10 minutes. 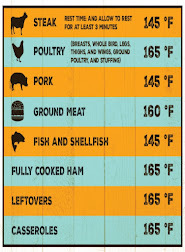 Using a meat thermometer, check internal temperature of beef beginning at 40 minutes and every few minutes thereafter, until beef registers an internal temperature of 135 (medium rare). Remove roast, cover with foil and let rest 15 minutes before carving roast against the grain and serving.